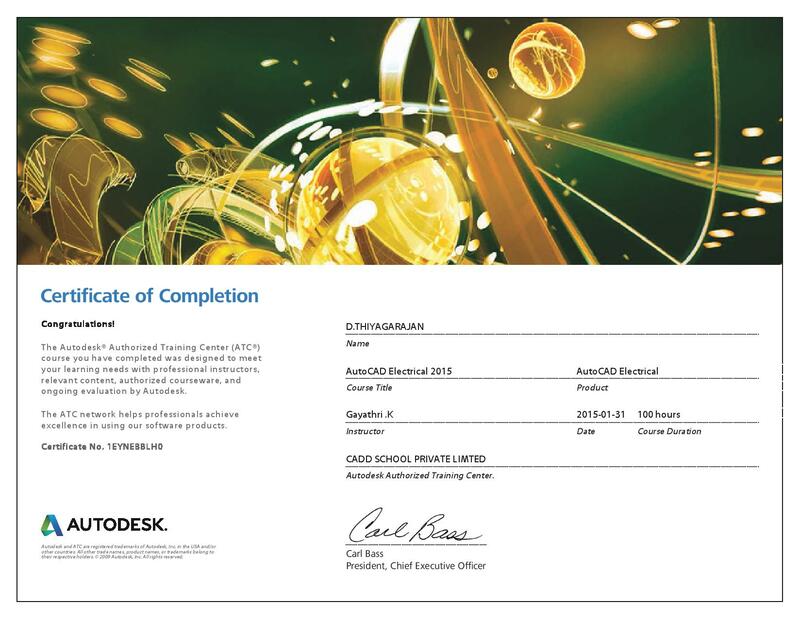 CADD SCHOOL - The ultimate school of Engineering Design being the torch-bearer for the Engineering community, delivers international standard of cadd training in CAD/CAM/CAE field with international certifications. 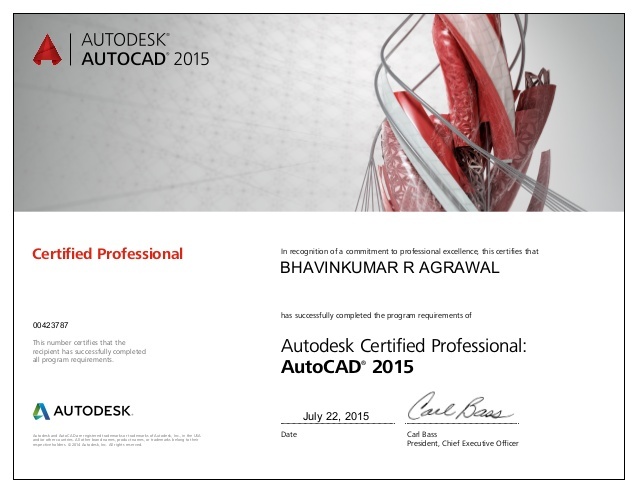 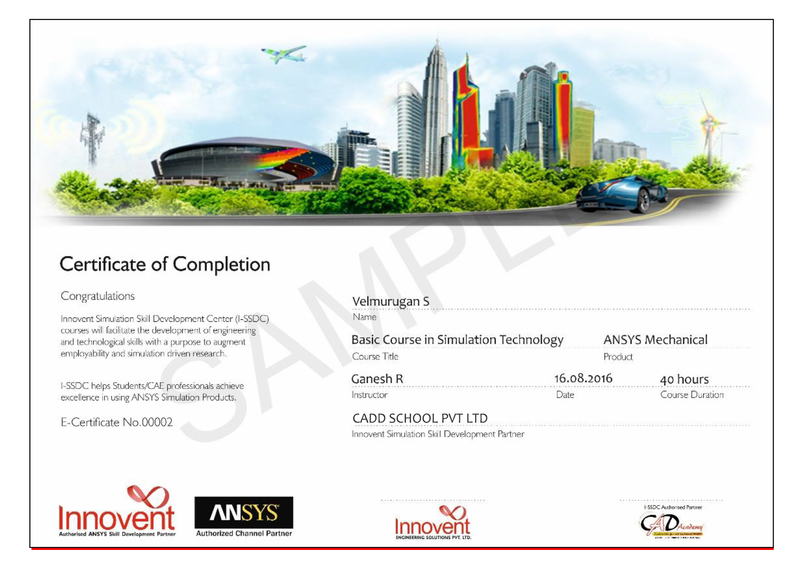 CADD SCHOOL is an Autodesk Authorised training and Certification centre in Chennai. 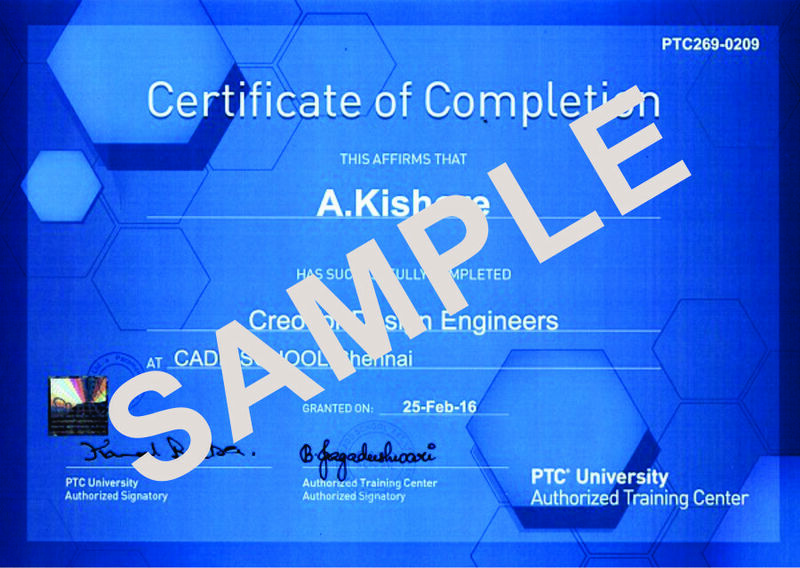 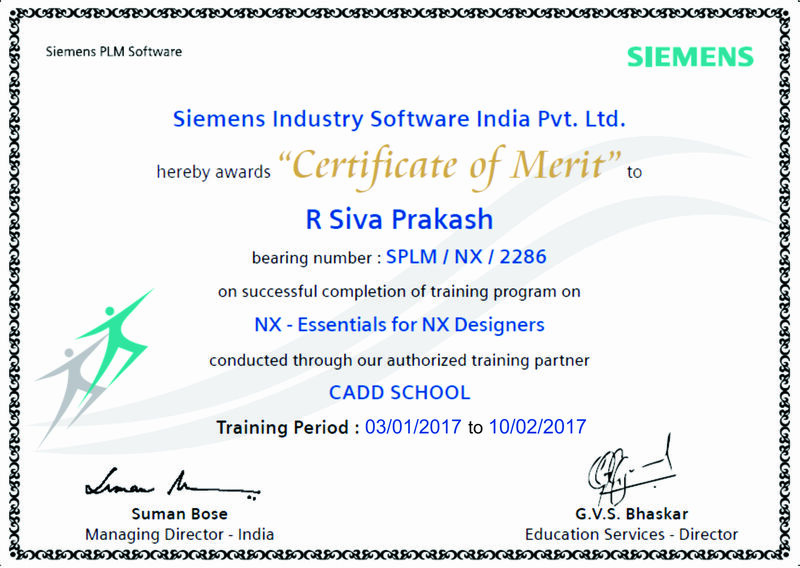 CADD SCHOOL is an PTC University authorised training centre (Creo Elements/ Pro, Pro/E wildfire ) and Siemens PLM software partner (Unigraphics, NXCAD, NXCAM, SOLID EDGE), SOLIDWORKS Authorized licence holder, ANSYS Authorized Channel Partner and INNOVENT Authorized ANSYS Skill Development Partner and also Mastercam Authorized Training Centre.